Let’s take a quick look at the three new convertibles that Lenovo brought to IFA. These are the convertible Yoga 720 and Yoga 920 and the tablet+keyboard combo Miix 520. 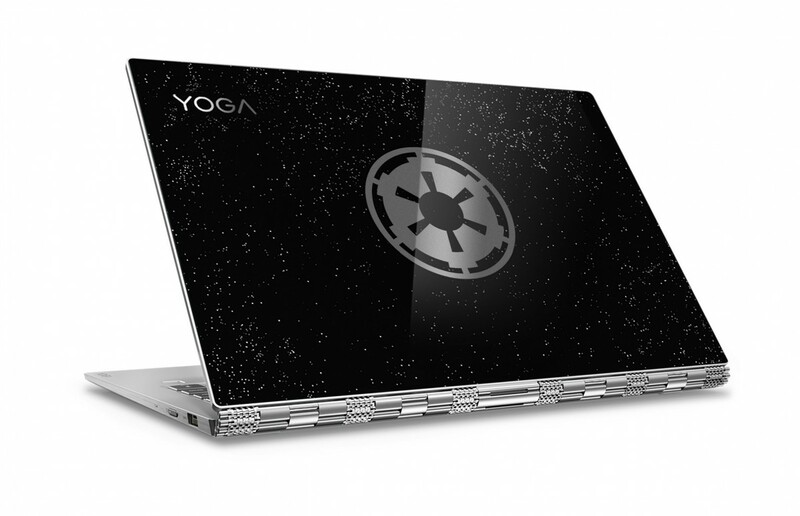 First of all, the Yoga 920. TheYoga 920 is the most premium of the three with its almost bezel less 4K UHD (3840 x 2160p) display. The vertical bezels on both sides are just 5 mm thick making the 13.9-inch display look larger. The touch IPS display can also be configured with a lower resolution – Full HD (1920 x 1080p) which we would recommend as it will gracefully improve battery life. Lenovo claims up to 15.5 hours with 1080p resolution and 10.8 hours with 4K. You can configure your Yoga 920 with up to Core i7 processor from the 8th generation (Kaby Lake Refresh) and up to 16 GB of RAM. Yoga 920 doesn’t feature a discrete GPU as some other convertibles we saw at IFA. You can opt for up to 1 TB of SSD storage. The Yoga 920 boasts JBL speakers and the 3.5 mm headphone jack is Dolby Atmos certified. It is equipped with far-field microphones so you can speak to Cortana from afar. There will also be Star Wars themed paint jobs. Then there is the smaller 12.5-inch Yoga 720. This time the IPS display is stuck with 1080p and there is no option for 4K. 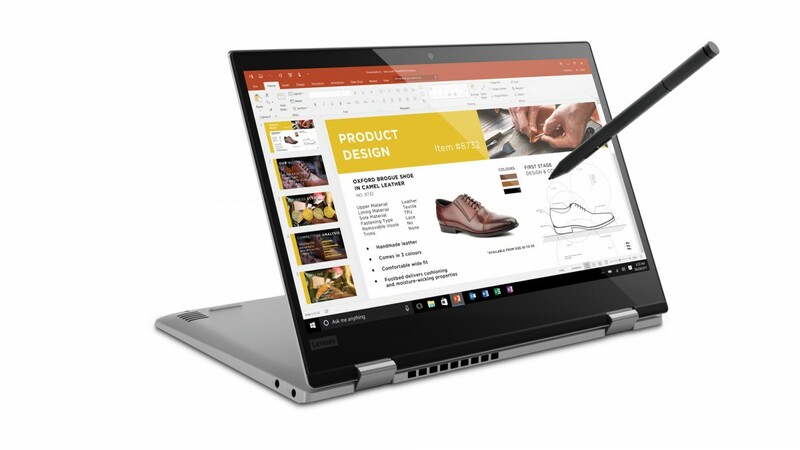 The Yoga 720 supports the original Lenovo Active Pen unlike its bigger brother the Yoga 920 which can use the Active Pen 2. 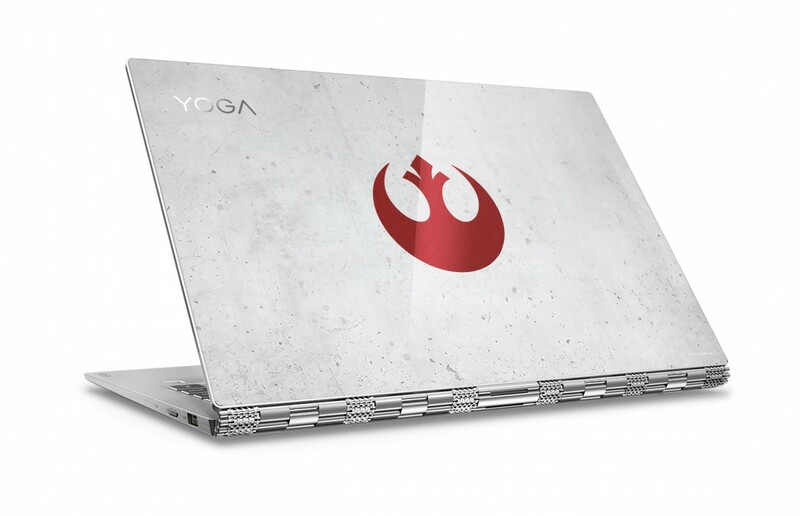 The Yoga 720 is also stuck with the 7th generation Intel processors of course up to Core i7. The maximum amount of RAM is rather odd – 12 GB instead of the usual 8 or 16 GB. Storage options consist of up to 512 GB of SSD. The Yoga 72o weighs only 1.15 kg (2.53lbs). You get Harman Kardon speakers this time and a lower battery life of up to 8 hours. And finally, the Miix 520 which is actually a tablet with an attachable keyboard. It is almost as big as the Yoga 720 with its 12.2-inch IPS display that supports Active Pen 2. Even with the keyboard attached, the Miix 520 is very light, lighter than the Yoga 720. The tablet itself weighs 880g (1.94lbs) and the keyboard is 180g (0.84lbs) for a total of 1.06 kg (2.78lbs). The device is just 9.9mm thick without the keyboard and 15.9mm with. The Keyboard is backlit and features a 1.5mm key travel. Miix 520 is powered by up to an 8th gen Core i7 but you can downgrade to a 7th gen Core i3 processor. The maximum amount of RAM is 16 GB and storage options include up to 1 TB of PCIe NVMe SSD. The Miix 520 is nothing like the budget low-powered Miix 320. This time we get a premium and portable 2-in-1 tablet.